Like just about any other year, 2010 for Sylvia Plath was interesting and occasionally controversial. 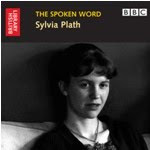 The year saw just one major publication by Plath, and that was the British Library’s Spoken Word: Sylvia Plath CD in April. I was fortunate enough to be asked to write the introduction, which was both a great honor and fun to do. If you have not yet purchased the CD or borrowed it from a library I would highly recommend you do (and not for the intro, mind you, but for the audio tracks). By ordering through the link on the sidebar of this blog you can save 10%. The Spoken Word: Sylvia Plath CD wins, hands down, for my favorite cover award of the year. The only book by Plath published this year was by Faber who published a new, hardback edition of Ariel in May, but this was of the originally published Ariel edited by Ted Hughes. Books about Plath were a little skimpy this year too; but those new books that did appear in print are considerably important and extremely valuable contributions to Plath scholarship. The highlight of the year is certainly Luke Ferretter’s Sylvia Plath’s Fiction: A Critical Study (review). This is without a doubt my “Book about Plath of the Year” winner. It was long overdue and on a subject highly under-considered, undervalued, etc. Another new book that was published quite late in the year and thus had not been read & considered for its merit is Heather Clark’s The Grief of Influence: Sylvia Plath and Ted Hughes (Oxford, published 9 December 2010). This book is very highly anticipated by Plath scholars and will be the study of Plath & Hughes’ poetry to which others will be compared. I have been excited by Clark’s writing for years and look forward to anything else she will publish. Other new books “on” Plath include: Daniel Huws’ Memories of Ted Hughes: 1956-1963 (Richard Hollis, published 17 February 2010), and Lucas Myers An Essential Self: Ted Hughes and Sylvia Plath (Five Leaves), which appeared in time for the Ted Hughes Conference at Cambridge and is officially published in January 2011 (review forthcoming). Plath received coverage in a number of books such as Last Looks, Last Books: Stevens, Plath, Lowell, Bishop, Merrill by Helen Vendler, Diary Poetics: For and Style in Writers Diaries, 1915-1962 (Routledge) (excellent essay), and in Between the Sheets: Nine 20th Century Women Writers and Their Famous Literary Partnerships by Leslie McDowell (Overlook). There were many individual articles printed on Plath this year, likely far too many to list. The great concentration of them appeared however in two issues of Plath Profiles. In Plath Profiles 3, there was featured special section wonderfully edited and introduced by Guest Editor Amanda Golden on Sylvia Plath and Material Culture. Also published was Plath Profiles 3 Supplement, which featured essays on the 10th anniversary of the publication of The Unabridged Journals of Sylvia Plath and celebrated the books’ editor Karen V. Kukil. A new blog was started by Maeve O’Brien that tracks her PhD work on Plath. If you have not looked in yet on The Plath Diaries please do this now and return later to this post. And keep checking back as there is a link to her blog on the sidebar. More articles published this year or referenced may be found on my blog looking at the article or bibliography labels. Three major news stories saturated the Plath-waves this year. In March, Frieda Hughes published “The Poison That Drove Sylvia Plath and Ted Hughes Apart” in The Times. In the article, Hughes places blame for her parents’ collapsed marriage on her maternal grandmother. This was met with the typical sensation and was largely looked as a skewed or delusional opinion. Bigger news was Ted Hughes’ poem “Last Letter.” This is the poem heard around the world; a fine example of viral poetry! The media coverage was both amusing and terrible at the same time, as the famous literary couple was one again dragged into an almost reality-TV-esque inspection. Time will determine the poems validity, veracity and worth. It certainly did spark lots of conversation on this blog; October seemed the longest month of the year. The last major news story was Sylvia Plath’s induction to the Poets’ Corner in the Cathedral Church of Saint John the Divine in New York City in November. It is hard to choose just a few news stories & posts to highlight as I am undoubtedly missing something that was important. I have gone through the entire year’s posts and find something I feel most passionately about are the Plath archives. “Last Letter” highlighted important archival news, that of the opening of Ted Hughes’ archive at the British Library for research. Stepping back, timed almost to coincide with the British Library’s Spoken Word CD was the news that the British Library acquired Ted Hughes’ wine-stained copy of Saint Botolph’s Review. Although it received no additional or big news coverage of its own, I located Plath’s copy of the Saint Botoloph’s Review. Well, it is not fair to say I located it but I broadcasted on the blog that is it at the University of Virginia. This is THE COPY that lead to her attending THE party where history was made. Well, I thought it was important... Olwyn Hughes sold some letters and poetry drafts from Sylvia Plath and Ted Hughes to the British Library, too, which also made news in September. Aside from my Plath website being updated regularly and my activities in this blog, I suppose I had a productive Plath year. In January I spent a week with the Plath Collection on a Helm Visiting Fellowship at the Lilly Library. I blogged about my daily activities each evening, which was much fun for me; reliving those recently passed hours. And I hope you enjoyed being there with me! Part of the trip was to learn more about the books Plath read but did not necessarily keep or own: books read for school, in essays, borrowed from the library, etc. These books are being catalogued (much more slowly than I had envisioned) in LibraryThing. I was also able to visit several Boston area libraries that hold either Plath books or Plath-related things. I visited also Smith College a couple of times which is always a treat, and in November I took a day trip to the Hornbake Library at University of Maryland at College Park to examine the Frances M. McCullough Papers (more about this within the next month I hope). I had a few publications in Plath Profiles as well as the introduction to the Spoken Word CD. In “‘They Had to Call and Call’: The Search for Sylvia Plath” I researched microfilmed newspapers for the stories that appeared on Plath’s first suicide attempt in August 1953. At the same time, it showed the benefits of sources like Google News Archive which is slowly adding to the number of known articles that ran nationwide on the subject. This work included making a collage of headlines and a bibliography, which is still growing (that is the problem with bibliographies: they are out of date before they are finished! The bibliography of articles about Plath - and books by and about, theses on, translations of, archival repositories holding materials of, etc. - that I am compiling is still in progress). Gail Crowther and I followed up on “These Ghostly Archives” from Plath Profiles 2 with “These Ghostly Archives, Redux” in Volume 3. In this piece we continued our archival conversation and made more discoveries in the Plath archives held at both Smith College and the British Library (from documents found contained within the A. Alvarez papers). In April 2011, look for a new edition of The Bell Jar by Faber. I will remind you when it is out I am sure...And it looks like Harold Bloom is up to his old tricks; in October 2011 look for How to Write About Sylvia Plath, from his How to Write about Literature series. If we have learned anything about Bloom and his attitude towards Plath, then the book will be just one page and contain the word “Don’t.” However, this title authored by Kim Crowley so maybe Plath will get better, more considerate and appropriate treatment. We should also keep an eye or two out for Representing Sylvia Plath, edited by Tracy Brain and Sally Bayley, which is tentatively scheduled (by Amazon.co.uk) for a 31 July 2011 publication date. Say what you will, this book is by and large a compilation of essays (some modified and lengthened, but to be fair some new pieces too) given at the 2007 Oxford Sylvia Plath 75th Year Symposium. With time hopefully we’ll learn about more 2011 publications! If you hear of any articles or forthcoming books, please let me know so we can spread the word. Look for Plath Profiles 4 in August 2011 which will feature a section of “Plath and Place” as requested by Guest Editor Gail Crowther (a.k.a. Gee Cee, the Amazing Editor). In addition to plans for a third “These Ghostly Archives” which I will co-write with Gail based on already found, really awesome archival finds, I am already at work on an essay on Plath & Place that I hope will be interesting and accepted. Maybe later this winter or in the spring I will tell you a bit about it if there is interest? Plath Profiles 4 will feature poems by the late Morney Wilson, who passed away in November 2010. Some of you will recognize her name as a valuable contributor to the Sylvia Plath Forum. Her poems are as wonderful as her comments. As usual, please read the submission guidelines in advance of sending in your work. By the numbers this was a busy year for both this blog and my website for Sylvia Plath A celebration, this is. Indeed, the combined hits/visits exceeded 106,000 and for this I am extremely thankful! The blog itself had more than 42,000 visits; and the website, more than 64,000. On the website, the most popular pages were the biography, poetryworks, thumbs60-63, belljar, and thumbs50-55. This excludes “landing” pages such as the home page. For the blog, a milestone was reached as I posted my 500th post during the summer! And without a doubt this year was more active for commenting, thanks in large part to some of those big news stories (wish it was due to the provocativeness of some of the posts, but...) Thanks to the Guest Poster’s, too, because it saved me a bit of writing & thinking! The top pages receiving hits on the blog this year were: Dissertations about Sylvia Plath, Frieda Hughes on the breakup of her parents marriage, Two Thumbs Up!, Sylvia Plath’s Voice, and Coming Soon: The Spoken Word: Sylvia Plath. Unless I catch wind of something neat or something major needs to be announced, this will be the last post of the year for me so that I can make some progress on my essay for Plath Profiles 4 (and maybe enjoy spending time with inbound family & the holidays). Thank you all for your comments, visits, and words of support; and for those following the blog and for those who have Guest Posted. Keep Plathing! Happy holidays & New Year. Diane S. Bonds. "The Separative Self in Sylvia Plath's The Bell Jar." Women's Studies 18. 1990: 49-64. Carly Cate. "Restoring Sylvia—Reconstructing Sylvia Plath's Ariel." Academic Forum 26. 2008-2009: 56-59. Julia Chin-chu Chang. "The Severance in Two Worlds: Sylvia Plath's Three Ekphrastic Poems on Giorgio de Chirico's Art Works (‘Conversation Among the Ruins,' ‘The Disquieting Muses,' and ‘On the Decline of Oracles')." Luis Alfredo Fernandes De Assis. "Sylvia Plath's Fragmentation in the Voices of ‘Three Women'." Revista Artemis 7. December 2007: 47-55. Zsófia Demjén. "Metaphors of a Conflicted Self in the Smith Journal of Sylvia Plath." Roger Elkin. "Hidden Influences in the Poetry of Ted Hughes and Sylvia Plath." Ted Hughes Info. 2009. Gregor Fajdiga. "The Process and Purpose of Demonizing the Father in Sylvia Plath's Poetry." May 2005. Harold Fromm. "Sylvia Plath: Hunger Artist." Hudson Review (43:2). Summer 1990: 245-56. Parvin Ghasemi. "Reflections of Self and Other in Sylvia Plath's "Mirror" Imagery." Dream, Imagination and Reality in Literature: South Bohemian Anglo-American Studies 1. 2007: 58-62. Jason D. Hill. "Sylvia Plath: "Daddy" and the Creation of Moral Culture." In Beyond Blood Identities: Posthumanity in the Twenty-first Century. Lanham, Md. : Lexington Books, 2009. Emily Hourican. "The Irish Sojourn of Sylvia Plath." The Irish Independent. September 24, 2006. Yukiko Kashiwara. "Exploring Psychic Reality through Poetry Analysis: Sylvia Plath's ‘Fever 103'." Ritsumeikan Journal of Human Sciences 19. 2009: 15-27. Dal-Yong Kim. “Sylvia Plath's Vitalist Occultism: ‘A Piranha Religion'." Mystical Themes and Occult Symbolism in Modern Poetry: Wordsworth, Whitman, Hopkins, Yeats, Pound, Eliot, and Plath. Lewiston, N.Y.: Edwin Mellen Press, 2009. Ida Kodrlová and Ivo Čermák. "Precursors to Suicide in Life and Works of Sylvia Plath and Sarah Kane." Institute of Psychology, Academy of Sciences, Czech Republic. Siri Langholm. "Sylvia Plath: Prophet, Madwoman, or Saint?" In The Sweeter Side of Pain. Oslo: Solum Forlag, 2003. Laurence Lerner. "Sylvia Plath." In Reading Women's Poetry. Brighton; Portland: Sussex Academic Press, 2009. Nicholas Lezard. "Beware the Plath Copycats." The Guardian Books Blog. March 13, 2008. Ellen Miller. "Sylvia Plath and White Ignorance:Race and Gender in 'The Arrival of the Bee Box'." Janus Head 10:1. 2007: 137-156. Susan K. Mitchell. "'The Hanging [Wo]Man': The Reader in Sylvia Plath's Ariel." Thesis (M.A.) --Texas Tech University, 1989. Susan E. Schwarz. "Little Girl Lost: Sylvia Plath and the Puella Aeternus." In Perpetual Adolescence, SUNY Press, 2009. Susan E. Schwartz. "Sylvia Plath: A Split in the Mirror." R. Sharma. "Terrible Fish in Sylvia Plath's Mirrors: Perception and Relevance of Mirror Imagery." The Indian Review of World Literature in English 5:2. July 2009. Hirmawan Wijanarka. "The Aspects of Modernism in Sylvia Plath's ‘Lady Lazarus'." The Aspects of Modernism 10:2. October 2006. 130-139. All links accessed from 1 November - 15 December 2010. Congratulations on all your hard work this year Peter - you have certainly been doing an excellent job. There really is no other Plath resource quite like your blog online today - where would we be without it? We have had so much snow in England that it really does feel like the winter of 1963 - I can fully appreciate how much harder life must have been for Sylvia in her winter of discontent! I must agree with the above commenter-your blog is really one of the most thorough I've read/seen on Plath. Paull, thank you for your kind words and for our emails exchanged over the year(s)! It means a lot and keeps me going. Kris, don't know what to say. I've re-checked all the links and other than one - which has now been fixed - they all worked for me. And thank you for kind words, too! I, too, am getting the "not found" error message at all the links. And I also want to thank you for all the good work you put into this blog. It is informative but also great fun to see what you find! Rice, I'm sorry to hear that you can't access the links either. I suppose if any look good you can Google the titles and authors and find them that way? It's great to see names/people that are new to me/this blog! You're quite welcome and I hope 2011 keeps things going. I've got - already! - a kind of a fun post to lead off the year that I think fans of The Bell Jar will enjoy. Your work is amazing. Thank you. Here's to another Happy Plathing year for us! Gee Cee - back at-cha! Everyone else - I've pulled me head out of me arse and figured out the links issue. Click away! Links are now working! Such a wealth of information in one post! Thanks. Thank you so much for linking my blog on your terrific year round-up! I've said it before but I'm so honoured to be in communication with you, I have long since been a fan of your blog and website dedicated to Sylvia - thank you so much for such a valued contribution to the study of her life and work. 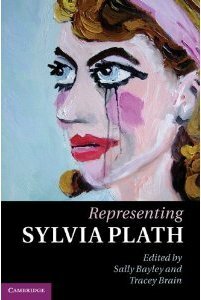 Has anyone clicked to see the cover for Representing Sylvia Plath? Hideous! If the cover is in anyway representative of the books' contents maybe I won't buy it. Maeve- You're welcome. I think your project sounds fascinating, and what you are doing by blogging about it is really interesting. I think this is a possible future for scholarship. What a treasure-trove. I have about a dozen new tabs open from this blog. I have just finished editing together the poetry and prose (including her posts on the Plath forum) of Morney Wilson who was a close friend of mine. I have posted up 2 of her poems here from I Am The Blast From Your Past & Other Poems and Martyr Doll, her second posthumous book of poems. She would have been so happy to see her poem in Plath Profiles 4.